A Hole-in-One! 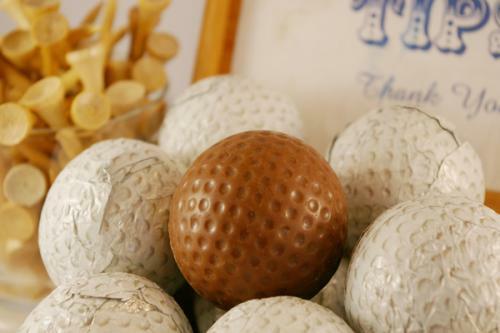 You will make a great impression with these unique chocolate golf balls. 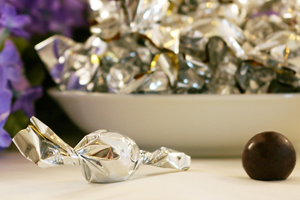 Milk chocolate balls wrapped in a white golf ball foil are so much fun! While your golf friend is practicing that tough swing, he/she can take a break between holes and enjoy the exciting flavor of these exceptional chocolate golf balls. What a fresh treat to share with the caddy! These are some of the best fillers, party favors, and balloon weights for the sport enthusiast. They make a great gift for Father's Day, Mother's Day, or Grandparent's Day and don't forget to thank your coaches and teachers. They would be perfect for spring and summer events, Easter basket fillers, and Christmas stocking stuffers. Wouldn't you love to see these in your next golf tournament? What a perfect novelty item as a memorable souvenir of a day of good times on the golf course. 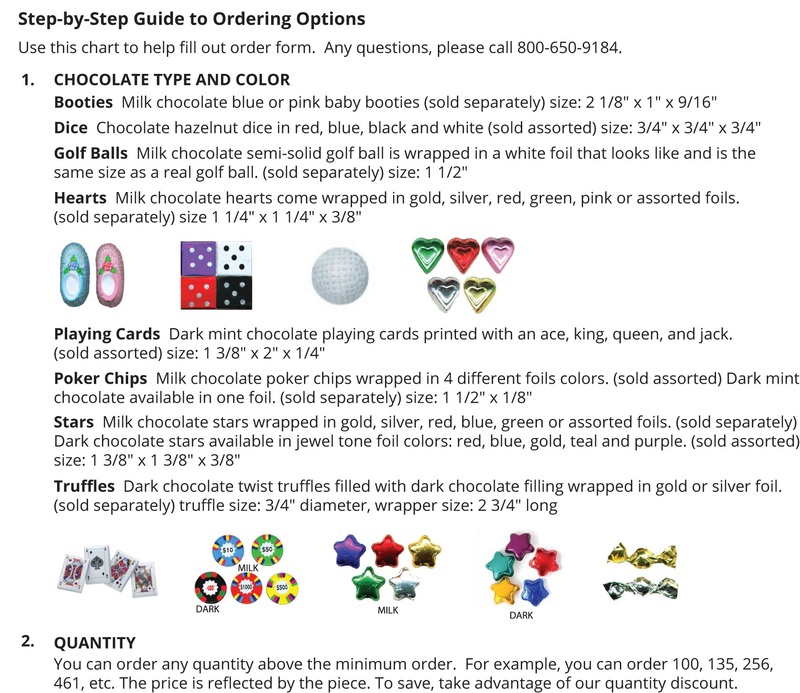 80 pcs per lb., size 3/4"
"The chocolate golf balls were so much fun! We made gift basket for the ladies in our golf tournament. It was a great idea for the end of a long day. Thank you for your great customer service!" "THANK YOU SO MUCH! The golf balls arrived today in perfect shape. 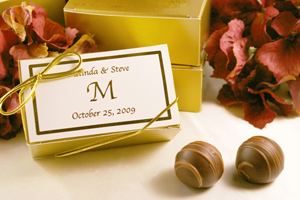 My daughter's wedding was the talk of the town when everyone saw their golf ball favors. We appreciate you shipping them so quickly." "I just wanted to send a thank you note about the golf balls. 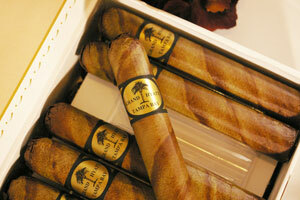 They were a huge hit and our customers have been requesting for more at our next golf retreat."